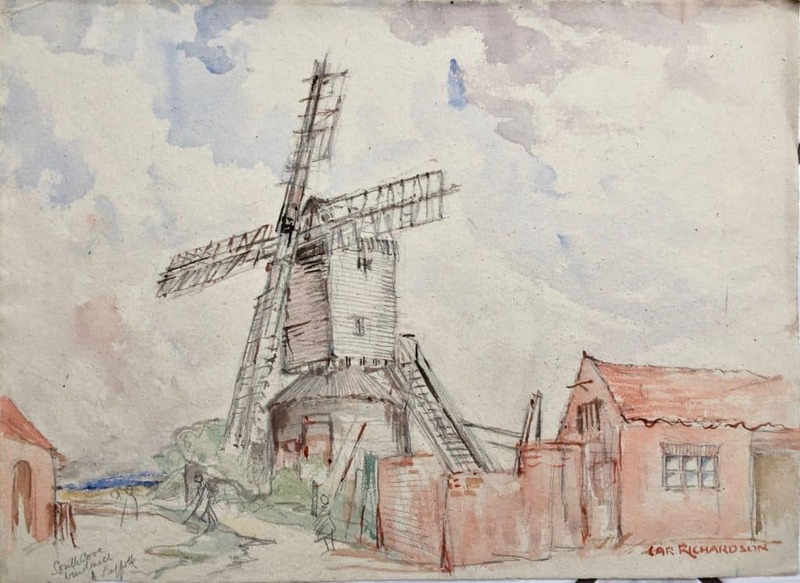 There were no known mills at South Cove but several at nearby Southwold. According to wikipedia, only two survived into the 20C and both appear to have had their demise ca. 1938, the time when this painting was made. Russell Jones identifies this as Carter’s Mill at Wrentham, close by South Cove. It was a post mill, demolished in 1955.